Girls in Tech (GIT) is a global non-profit organization focused on women’s innovative and entrepreneurial achievements in technology. Created in February 2007, Girls in Tech is an organization founded by Adriana Gascoigne, and was born out of a need to provide a place for women to cultivate ideas around their careers and business concepts involving technology and entrepreneurship. “As women with the capacity to inspire and lead, it’s our desire to sustain an organization that focuses on the promotion, growth and success of entrepreneurial and innovative women in the technology space,” the Girls in Tech website reads. Girls in Tech is headquartered in Denver, Colorado and has multiple chapters around the world, including in Las Vegas. NV. The local Las Vegas chapter (Girls in Tech Las Vegas) has a goal is to promote the collaboration, growth, and success of women in the technology sector. Rosa McGill, the original managing director, came to Las Vegas from San Francisco where she was the Social Media Manager of Girls in Tech, San Francisco. 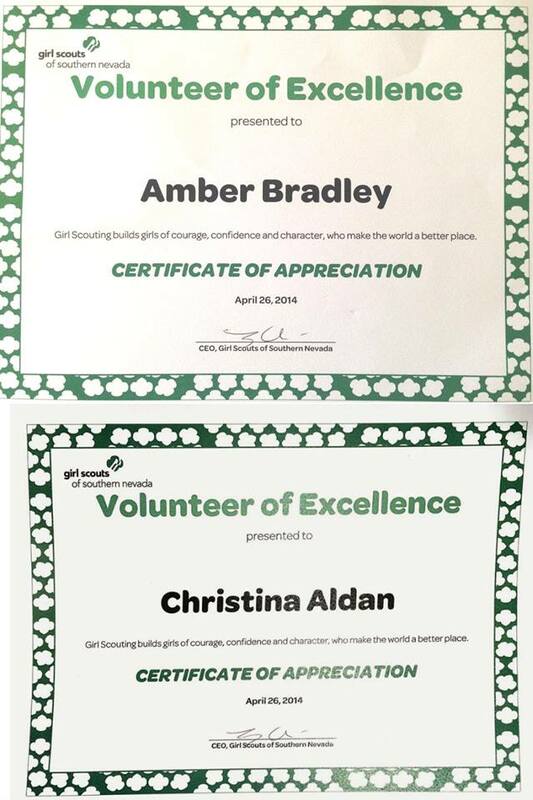 Christina Aldan and Amber Bradley are now Managing Directors of the local chapter. 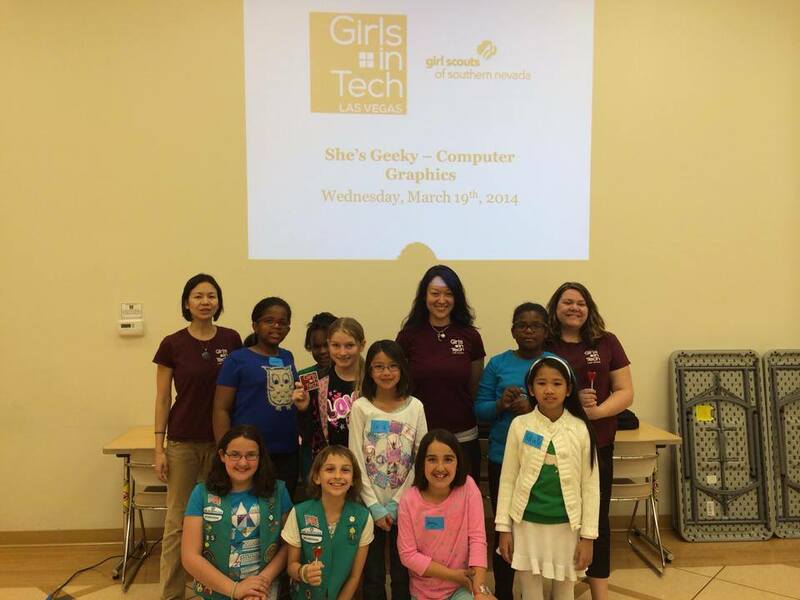 Since then, Girls in Tech Las Vegas has developed a computer series called “She’s Geeky” where members of the Girl Scouts of Southern Nevada can learn skills ranging from computer basics and graphic design to programming and online safety. The team says the “She’s Geeky” program has been so successful, they have been able to offer it multiple times throughout the past year. As part of the She’s Geeky Week, the girls will learn hands on lessons for Word, Powerpoint and graphics. They will also take part in a daily speaker series with related topics. “One of the speakers in the series will be Local Motors of Las Vegas, talking about 3D Printing and related concepts,” Christina Aldan said. We are always looking for community partners and collaborators who are interested in promoting the achievements and growth of women in the technology space. 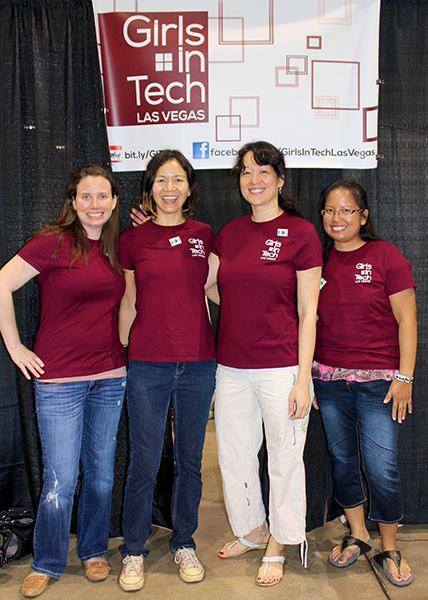 Girls in Tech Las Vegas is currently accepting new members for their advisory board and is always looking for volunteers to champion their community events. Texas Star Lanes would like the opportunity to host your next fundraising event. We’re happy to send you some information on our fundraising programs. Just reply and you’ll receive all the information necessary to have an awesome event. We look forward to seeing you and your group at Texas Star Lanes.